Return From Break. Design update. Winter break is over and Spring semester 2019 is starting up. For spring, the Smart Locker team will be working on the prototype and refining any problems that arise. The local chapter of the IEEE will be hosting an event at San José State University on February 18. The Smart Locker team will be attending and will be getting feedback from the community and partners. 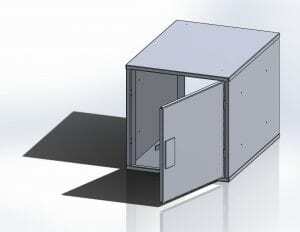 During winter break, the design was revised to accommodate for manufacturing. The unit will have three major unique parts. A door, side panels, and top-bottom panel. This minimize the number of different parts while still be able to manufacture. 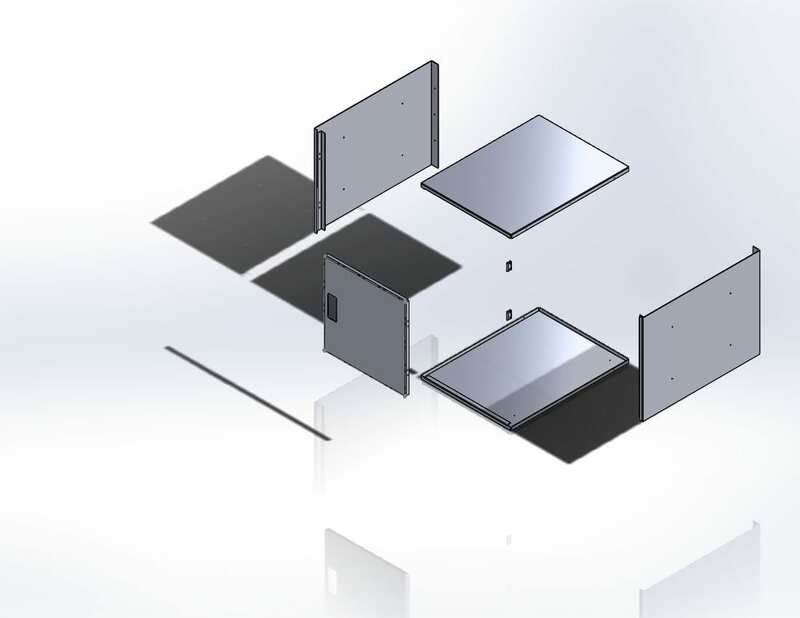 The team is currently working on camus shops as well as local sheet metal shops to develop the process to bend sheet metal effectively. Comments Off on Return From Break. Design update.